Thinking of getting a new toy to go with your brand spanking new Samsung Galaxy Note 2? Then you may want to take advantage of this all-new peripheral Samsung has just released for its massive 5.5-inch tablet — the Samsung Galaxy Note 2 Smart Dock. The Smart Dock costs $99.99 and is available in white and black variants, both of which should look nice with the Marble White or Titanium Gray versions of the Samsung Galaxy Note 2. 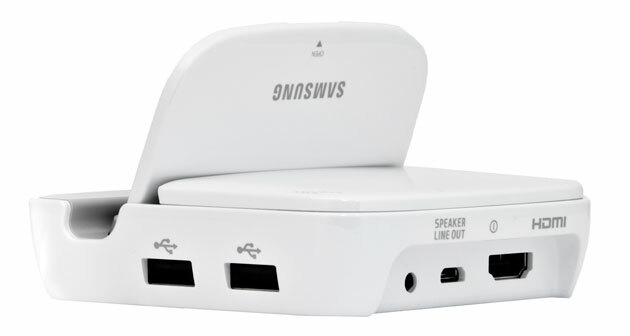 Is the Smart Dock a must-have accessory for your Samsung Galaxy Note 2? Share your thoughts in the comments below!